I readily admit that I am attracted to the brand Pilium Audio by the muscular looks of their products, especially their Achilles stereo amplifier of the Brutale range. On the other hand, I am also a fan of (smaller size) Linn products, especially their LP12 turntable and Klimax 500 Solo mono amplifiers but that’s another story for another day. Another attraction of the Pilium Audio Achilles stereo amplifier is their claim to be able to drive almost any load and free the loudspeaker’s true nature, characteristics and potential. I was thinking it would be interesting to hear what an uncompromising 300W (class AB) sounds like from an amplifier (with a cost-no-object parts and materials package). What was more interesting to me was the Pilium Audio designers’ objectives and vision. What sound characteristics or sound coloration (or none thereof) that they were aiming to achieve? Armed with these questions, I looked into the sound characteristics/coloration of an audio product first and then the sum of its parts and materials of the entire package. 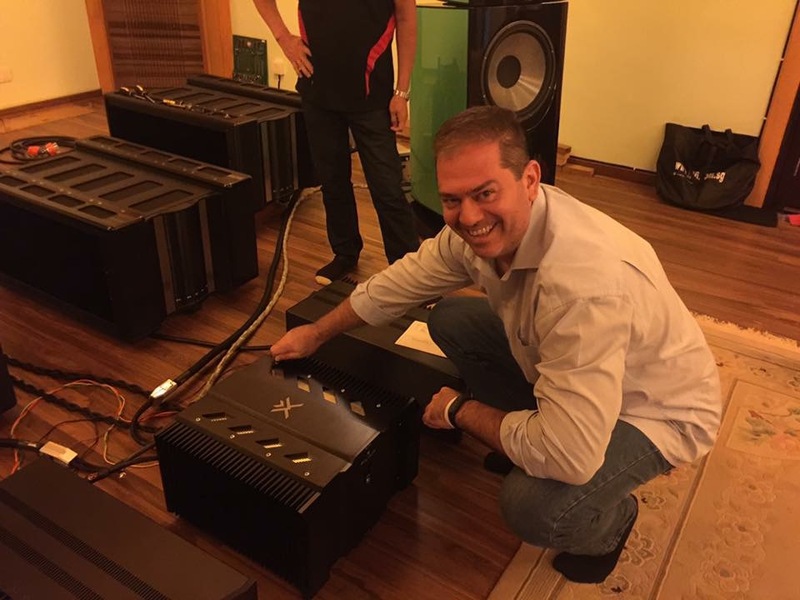 To best showcase Pilium Audio, Mr. Constantinos and I decided to send the Ares preamplifier and Achilles stereo amplifier (both from the Brutale range) to a power hungry audio system that comprised of the Focal Utopia Grande EM loudspeakers. The owner of that system has a bigger dedicated audio room than mine that can accommodate a bigger audience and a bigger sound. (photos are posted at analoguefellowship.com Facebook). Mr Constantinos readily accepted the challenge without really knowing the host’s true playing habits (hats off to Mr. Constantinos). Our Mr. Ben Tan is a well-known audiophile in Malaysia and his notorious fame has even reached the audiophile community in Hong Kong. He was nicknamed ‘BIG BANG BEN’ by some well-known seasoned audiophiles here and abroad. He has two pairs of the behemoth Krell Master Reference Amplifier (MRA) mono blocks and two pairs of Focal Grande Utopia loudspeakers. Our host has equipped his house with a dedicated power supply for those Krell amplifiers to drive his towering Focal speakers to above 110 decibels. At those levels, the 16″ woofers from the Focal Grande Utopia EM will send out waves upon waves of deep low bass at the listener. Some listeners whom could not take the ‘audio punishment’ went into hiding. Please don’t get me wrong, it is not just loudness but ‘quality’ music presentation that our host is pursuing. Many humongous and branded amplifiers, with lofty ambitions to replace the Krell MRAs, have entered Big Bang Ben’s audio system. Sadly, they failed at the ‘last mile’ of maintaining quality and sustaining musicality at peak decibels. On that fateful day, I thought that Mr Constantinos was not fully prepared. I was thinking that Mr Constantinos had only hoped his amplifier would survive the occasion without undue embarrassment. But in the end I realised that he knew very well what his amplifier was capable of. Big Bang Ben duly played all kinds of grand orchestra passages, Big Bang musicals, and percussion pieces at peak decibels around 110 for a couple of hours. When it came to vocal presentations, he only lowered the volume ever so slightly. Surprisingly, no one left his seat! Were they waiting for the inevitable Ka-Boom!? Nearing the end, Big Bang Ben stood up and exclaimed to the audience that the Pilium Audio Achilles stereo amplifier was really something else and that it was able to maintain the composure of the musical presentation at extreme levels without any hint of exhaustion. Other bigger named and costlier amplifiers, I reckon, would have become exhausted half way through. But not all amplifiers are designed equally or with the same ideas, objectives and philosophies. After a few days at Big Bang Ben’s place, I had the Pilium Audio Brutale Ares preamplifier and Achilles stereo amplifier sent to my audio den. The following review could be considered Part 2 and a continuation to the Pilium Audio Brutale Ares preamplifier (reviewed earlier) since it was on duty throughout. Therefore, I would try not to repeat myself here, but concentrate on the Achilles’ attributes and contributions to the overall performance when connected to the Gryphon Kodo loudspeakers’ Mid Towers only. In terms of power delivery, I felt the Achilles gave the impression of slightly more in quantity compared to my reference mono amplifier, the Vitus Masterpiece MP-M201. To illustrate this, I played my current showcase vinyl album, “Winds of War and Peace” conducted by Lowell Graham with the National Symphonic Winds (Analogue Productions APC 8823/Wilson Audiophile Recordings 1988). The mid bass was fast, articulate and directional and delivered with impact and power by the Achilles. The Gryphon Kodo‘s Mid Towers performed and sang effortlessly, much to my amazement and utter delight. As for the mid bass’ characteristics, I found them to be rounder and fuller, thus giving an initial impression of more quantity. Next would be my current heavy rotation vinyl, “Funkytown”(Mouth to Mouth/Lipps, Inc. Casablanca Japan 25S-4), where the material would impose and demand more power at the mid range. The Achilles easily showcased its well composed mannerisms throughout that number even when played at peak decibels. I believe the Gryphon Kodo Mid Towers could not exhaust its massive power reserves. It was more of the same, even with more demanding material, like “Excitin’ Latin!” by T.Misago And His Tokyo Cuban Boys (Toshiba Records, Pro-Use Series/Direct Cutting LF-95013). It was especially so with the track “Brazil (A.Barroso)” where audio craziness and messiness would prevail with lesser amplifiers in any audio system. Here, I pumped up the volume and still found the Achilles able to bring forth liveliness, control and rawness in energy and dynamics. That energy and dynamics were fast, defined and articulate. In addition, the Achilles maintained the effects and direction of that number with ease, which reminded me of my Vitus MP-M201. I am convinced that with the Achilles, you could pump up the volume as much as the loudspeakers, power supply and listener could handle. And yet the music would still be under control and in good order. Power Fit for the Throne? Initially, I set up the Pilium Audio Brutale pair with my pair of Penaudio Charisma mini monitor speaker and the Penaudio Chara woofer. Through that pairing, I experienced a soundstage that encompassed my entire audio den. I did not remember experiencing that with my Rogue Audio Apollo tube mono amplifiers paired with those speakers. 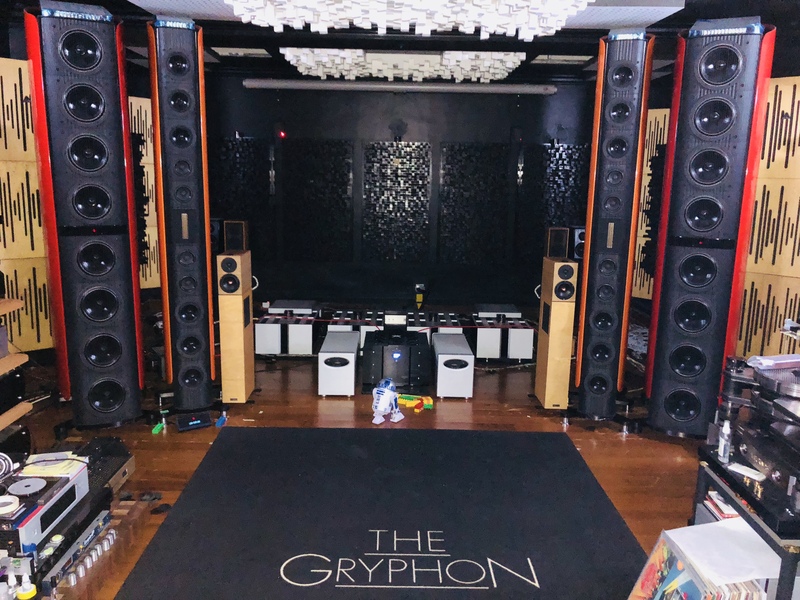 When I paired the Pilium Audio Brutale duo with the Gryphon Kodo loudspeakers system, I admit that I did not experience a bigger or more enveloping soundstage. Bear in mind that the Pilium Audio Achilles replaced (for this review) one of the better mono amplifiers on the planet that is my reference, the Vitus MP-M201 at Euro €137,000-00 (which roughly costs five times more than the price of an Achilles at Euro €28,000-00). But I must admit that the Achilles presented an equally sized and equally enveloping soundstage compared to the Vitus MP-M201 with “Falla: The Three Cornered Hat” and Ernest Ansermet conducting L’Orchestre De La Suisse Romande with Teresa Berganza (Decca/Esoteric ESLP-10003). Here, I found the Achilles also provided an airiness and separation of ‘reference’ levels seldom experienced from a single chassis stereo amplifier. Interestingly, the Achilles’ beefy power output went a step further and managed to ‘flesh out and push out’ the musicians in the soundstage. I realized that this effect was the much sought after attribute of tube electronics. In addition, the images of those musicians were articulate, defined and delineated. I believed it (also) presented a ‘weighted presence’ and palpability of the musicians in the recording that ultimately added realism to the musical presentation. That same beefy power from the Achilles would supply a notch more in engagement and involvement to most listeners (comparatively), as could be experienced from another great recording; Living Stereo “Faust Ballet Music & Carmen Suite” conducted by Alexander Gibson with The Royal Opera House Orchestra, Coventry Garden (LSC-2449/Analogue Productions). Here, through the Gryphon Kodo loudspeakers, it was obvious to me that there were more mid range output and energy. As I have illustrated above, I could hear and feel the violinists, violins, strings and bows close and intimate to me. I could literally feel their bows’ pressure on the violin strings. The Achilles brought ‘alive’ each and every note. I could say the same with all the other musicians, their respective musical instruments and every note played in the recording (if the recording permits). Achilles was a mystical Greek hero linked to the siege of Troy. I believed his warrior’s strength and voice commanded the Greek army. 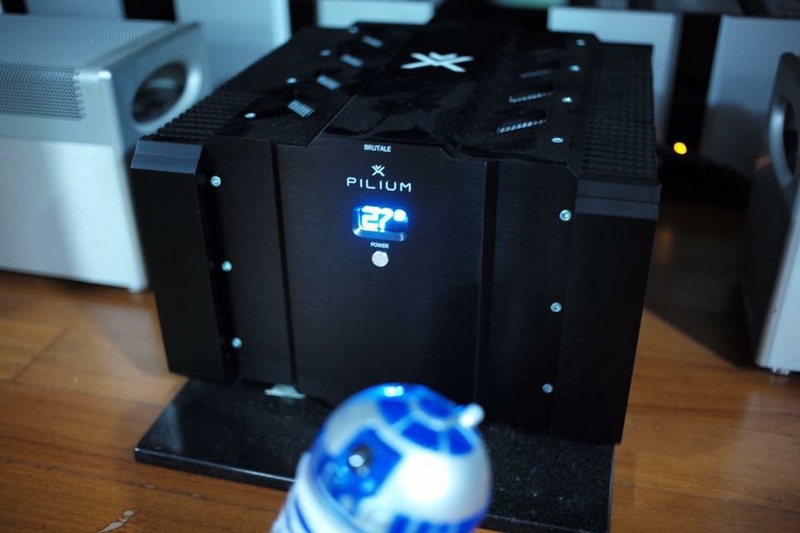 Pilium Audio Brutale Achilles as an amplifier was rightly named. The above have illustrated its strength, and the following would hopefully uncover its commanding voice. It has been some time since I last spun Doug MacLeod’s “Come To Find” (Audioquest AQ 1027) record. With the Achilles, his voice was raw with energy but yet sultry, wet and smooth. It reminded me of my Audio Note (UK) Ongaku (211 tube integrated amplifier) which possessed that unique attribute. I remember clearly it was to present the human voice with the ‘energy of life’. On the title track “Come To Find”, I did not just hear, but felt, Doug’s voice, weight, presence and all the energy within. To me, the Achilles’ transparency has reached a level that felt as if the recording microphone was plugged straight into the Achilles amplifier. Recently, Tom Vu of TriangleArt introduced to me the latest vinyl album from Ms.Yao Ying Ge, titled; “Listen” (Guangzhou Fenglin Culture Communication Co Ltd FLLP-C10, www.hifi-cd.com.cn). One would have imagined that a powerful class AB solid state amplifier would not be as good as a single ended tube amplifier (with the right speakers) to present the delicacy, intricacy, details, smoothness and sultry-ness of a female voice. On the contrary, in the case of the Achilles, I found myself baffled. Maybe, the mystical Greek hero Achilles was also a mystical lover that has his way with women? Here, at the right volume, her voice was presented with much more ’emotional detail’ and the Achilles was able to highlight them in her voice. To illustrate further, I felt as if time slowed down just to wait upon her (I am not saying that the Achilles is slow). The decay in her voice and breath after each word was clearly noted. It was as if the Achilles has the ability to open and close, at will, the flow of energy in her voice. The Pilium Audio Brutale Achilles stereo amplifier has proven to me its worth in both my audio set up and Big Bang Ben’s, which is a rare occurrence. It is even rarer to find an audio component that is able to perform as advertised. That amplifier has gone through more challenges than any other I have experienced. If someone should ask what of its Achilles’ Heel, then my answer would be the ancillary components in the set up. Based on my listening experience and the recommended price, I am pleased to award the first ANALOGUE FELLOWSHIP SOLID STATE AMPLIFIER of 2017 to Pilium Audio Brutale Achilles. Next Post Our first Danish member!